Despite all of the previous rumors surrounding him lately, Ricardo Montolivo’s future may still remain at Florence especially after the latest statement from Fiorentina’s owner, Andrea Della Vale saying that the club will be fighting to keep their captain there. 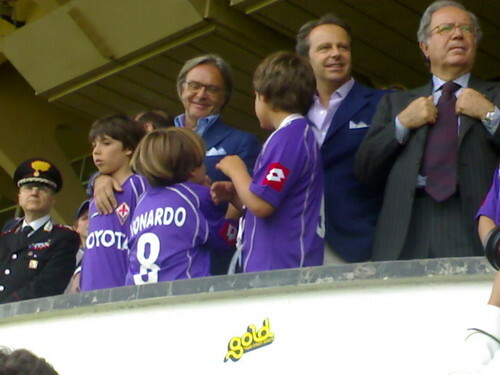 Della Vale confirm that another contract talk with Montoliv is set to be held at the end of April and the patron will be working hard in convincing the Italian international to stay at Fiorentina. The Patron’s latest statement seems to be an important act from the club in protecting their captain from other clubs interest on Montolivo, who will have his contract expiring soon. After the two parties failed to reach an agreement earlier this season, several big clubs such as Bayern Munich, Inter Milan, Ac Milan and Juventus are reportedly starting to approach the player’s representative asking the Italian international possibilities in leaving Florence next season. However, it seems that Fiorentina isn’t ready to give up their captain easily especially since Montolivo would give a little more preference towards his current club based on sentimental reasons. Aside from the wages issue, another important thing that could effect the Viola’s success or failure in extending their captain’s contract is whether the Florence based club are capable in providing an insurance that they will be competitive again next season. Fiorentina’s inability to challenge for important objectives recently, especially this season, has been reported as one of the main reason for Montolivo in considering his future with the Viola next summer. The player himself has been playing rather inconsistently lately in the league which could further more jeopardize his future with the Italian national team although Gli Azzurri at the moment are being coached by Fiorentina’s ex-tactician, Cesare Prandelli.